The presence of the pseudo- Sahrawi Republic (SADR) at the Ministerial Preparatory Meeting of the Tokyo International Conference on African Development (TICAD) “was a big problem” that Japan has overcome “to avoid embarrassment,” Spokesperson of the Japanese Foreign Ministry Mitsuko Shino said Monday in Rabat. The Spokeswoman, who is part of the delegation accompanying Japanese Foreign Minister Taro Kono on his official visit to Morocco, reiterated that her country does not recognize this puppet entity. “We have good intentions to settle this issue,” she said at a press briefing, adding that the Foreign Minister Taro Kono’s official visit to Morocco is a “good move” in this regard. During a press briefing in Rabat Monday following talks with Morocco’s Foreign Minister, Mr. Taro Kono made it clear that Japan does not recognize the so-called SADR as a State. He reiterated a position clearly expressed at the ministerial preparatory meeting for the 7th TICAD, held on October 5-7 in the Japanese capital. The presence of the so-called “SADR” at a ministerial preparatory meeting for TICAD VII, “in no way means that Japan recognizes, implicitly or explicitly”, this group as a State, stressed Taro Kono. 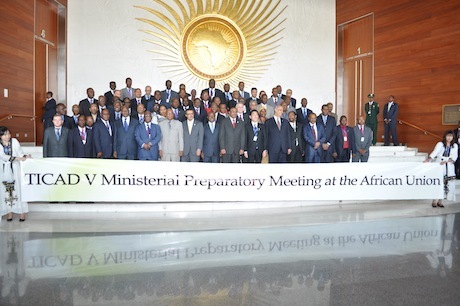 To attend the TICAD ministerial preparatory meeting, members of the “Polisario” entered Japan using Algerian passports and got accreditation using badges of the African Union Commission. Posted by Khalid Al Mouahidi on December 25, 2018. Filed under News. You can follow any responses to this entry through the RSS 2.0. Both comments and pings are currently closed.